If you take a moment to consider some of these, you will realize that a true addiction has negative effects and consequences. These will often start flowing into many areas of the addicts life. For instance, the drug addict will develop health issues, family problems, legal consequences and much more. The effects also flow out onto loved ones, business associates and, often, innocent bystanders. For many, there comes a point in time where “enough is enough” and the addict seeks some form of help. They may go to rehab, end up in a halfway house, or find themselves dealing with a social services program. All of these agencies are in need of qualified addictions professionals to fill a variety of needs. This is a massively growing industry and a career in addiction is becoming an attractive choice for many. As just an example, government economists expect jobs for addiction counselors to grow faster than the average for all careers through 2020. Why such a need? One word – Diversion! New laws continually being passed are creating jobs for addiction counselors who help people with drug and alcohol addiction. For example, when someone is arrested on drug charges, most states now will send them to treatment instead of sending them to jail. As our population continues to grow, so does the number of people who need help with addiction problems. With a projected 31 percent employment growth rate, substance abuse counselor jobs are growing at a faster rate than many other occupations. I know we gave the main reason for this (above) as being Diversion, but there is actually another, new, cause, for this jump in demand. That would be the Affordable Care Act – which now mandates that insurance providers cover treatment for mental health issues – of which addiction qualifies. And, unless you’ve been living under a rock, we now know that all Americans are required to have insurance so will be able to access these services. Experts are predicting that there is going to be a mass influx in the number of people seeking addiction and mental health counseling in the next 1-2 years. As you can see from the above, the need in this industry is so great right now and is growing by the day. 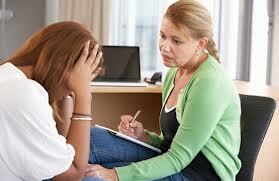 So, for the prospective employee, what can you expect to make if you chose a job in the addiction field? We all have to eat, right? According to the U.S. Department of Labor, the average salary of substance abuse and behavioral disorder counselors was $41,030 in 2011. 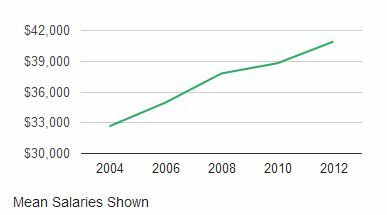 However, the salaries for this job have risen sharply over the past decade and continue to rise (see graph). Education and training requirements for addiction jobs vary widely depending on several factors: the type of job you are looking for, the State that you live in, and the employer’s requirements. There are some careers in substance abuse counseling that require a 4 year degree and licensing while others that require a certification program. Those looking to become certified and licensed are not barred from working in the industry – at all! There are so many important and relevant positions that need filling in the addiction and substance abuse industry that are open to those with the willingness to take them on. You can begin your career in Addiction right now. Take a moment to consider what you can bring to the table to help a company in the substance abuse field right now. Are you a sales and marketing guru or a techie? There are plenty of positions in those areas! Maybe you are sober and are interested in helping out at a sober living home and taking residents to meetings – plenty of need there as well. There is always a foot in the door if you are eager and looking to make a difference – because there IS a need. Get started today. I have always dreamed of being a video game addiction specialist. The modern generation of kids are all constantly gaming 24/7 and mastering this area could help save a ton of lives from obesity etc. The salaries aren’t the greatest, but for someone who is unemployed like myself this is quite good. The degree isn’t the problem for me because I am looking forward to going back to school. I thought that most of these jobs required the same general degrees to be considered. I live in Australia so I’m sure that it will be quite different over here, am I right? I have been in recovery myself for 19 years this month. I have a Bachelors in Psychology but never wanted to be a therapist. I always wanted to give back to the community I come from and that has given me so much. At age 50, I went back to school at InterCoast College in Orange, California and completed their Alcohol and Drug Abuse Counseling program. I have hundreds of internship hours and am now anxious to get to work!! Fantastic Michael! There is a great demand in this field and you’ll have a lot to offer for sure! This is truly amazing!! I am so happy for you Bill and Audrey. I think that it’s great that yall are able to turn this tejdray, into something posistive that the struggling alcoholics and addicts to come are able to use and benefit from. It’s an inspiration to me, and I am sure many others. If there is every anything I could help with, please just pick up the phone. I’m interested in being a tech..at a rehab facility..I’ve had 20 years in Addiction and Recovery.. This would be a wonderful experience for me and for my continuation for my Recovery. I believe I could be an asset to someone in helping in their recovery.. I I enjoy sharing my story and helping those I need..thank you..